DonMills RD & McNicoll Ave 4 Bedrooms Nice House Available Now!! 5 Wellesbourne Crescent is a 19 minute walk from the RH Richmond Hill at the Old Cummer GO stop. This apartment is in the Hillcrest Village neighborhood in Toronto. Nearby parks include Wellesbourne Park, Cresthaven Park and McNicoll Park. 5 Wellesbourne Crescent has a Walk Score of 45 out of 100. This location is a Car-Dependent neighborhood so most errands require a car. ★ Bright Renovated 4 Bdrm Family Home With Finished Bsmnt! ★ Minutes Walk To The Best A Y Jackson High School! Big Sunny South Backyard! Attached Garage & Double Driveway! ★ Central Air Cond! Updated Bathrms, Laminate Floor, A Lot Of Pot Lights, Finished Basement! No Pets, No Smoking Inside The House! 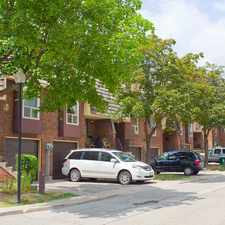 ★ Best Location : Close To Schools, Seneca College, Parks, Ttc, Finch, Shopping Plaza! ★ Easy Axess To Hwy 404 & Dvp, Minutes To Downtown! 24 Hrs Notice Before Showing. ★ Includes:Existing Fridge, Stove, Dishwasher,Venthood, Washer,Dryer, Fireplace, Cac, All Window Coverings, All Electrical Light Fixtures. Tenants Responsible For All Utilities, Grass Cutting And Snow Removal! 24 Hrs Notice Before Showing. Explore how far you can travel by car, bus, bike and foot from 5 Wellesbourne Crescent. 5 Wellesbourne Crescent has excellent transit which means transit is convenient for most trips. Car sharing is available from Zipcar. 5 Wellesbourne Crescent is in the Hillcrest Village neighborhood. Hillcrest Village is the 83rd most walkable neighborhood in Toronto with a neighborhood Walk Score of 68.